It was a big day today. Took a friend out to lunch at the new Tapas bar and Olathe Sweet Corn finally arrived in the store. Seems the rainy spring delayed the crop. I made a special trip to the store today to ‘stalk’ up. Before that, we sampled the new Tapas bistro, SAMPLES. Really wanted to check out the roof top patio, but it was much too hot for that, so we settled for a sidewalk table. It was a pleasant experience. Good food, good beer and super nice staff. I think the consensus was that we would go back for more ‘samples’. I had two completely new taste experiences (well four if you count the beer samples): truffle butter (on the bacon and grilled onions flatbread) and poutine (spare rib poutine to be exact). They were both fun and flavorful. I’d add spaetzle in brown butter, but my friend tells me it wasn’t true spaetzle, even though it was still delicious. Tasted like chicken mac ‘n cheese. 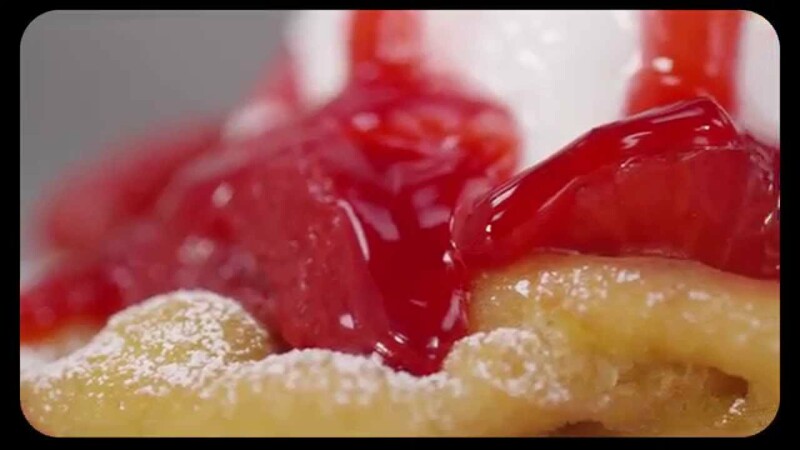 We finished down the road with Funnel Cake Strawberry Sundaes, offered in honor of county fair season. It was yummy. Later in the day I stopped at the grocery store, picked up a dozen ears of corn and steamed a few for dinner. I’ll prep the rest tomorrow and remove from the cob and serve cold on salads. 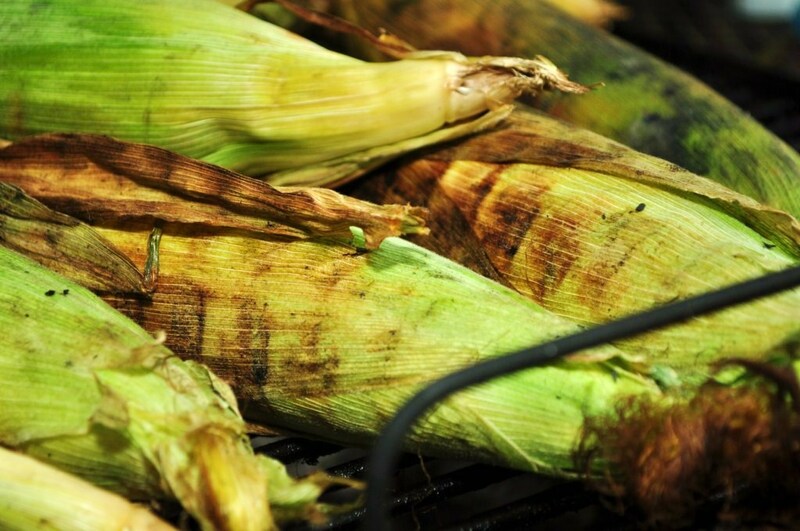 In honor of that arrival, grilled corn is on tonight’s Dinner Menu. It is one of the first menus I ever wrote.